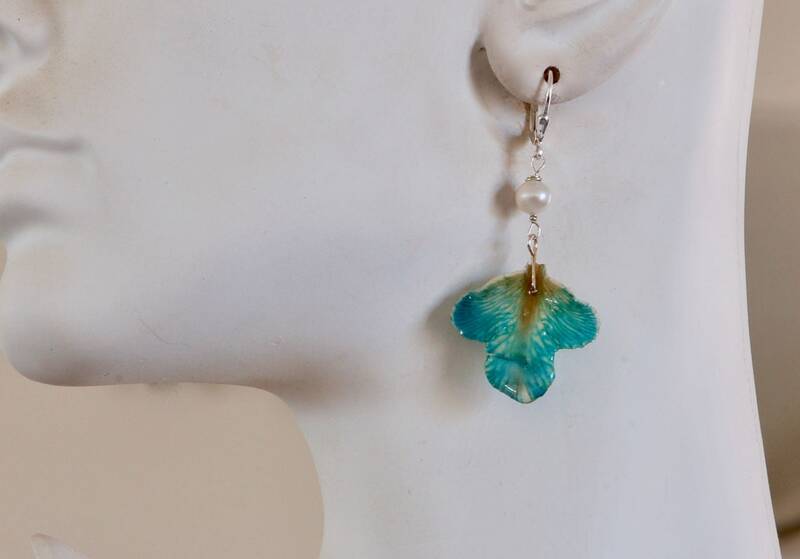 A colorful greenish blue orchid petal drop earring. 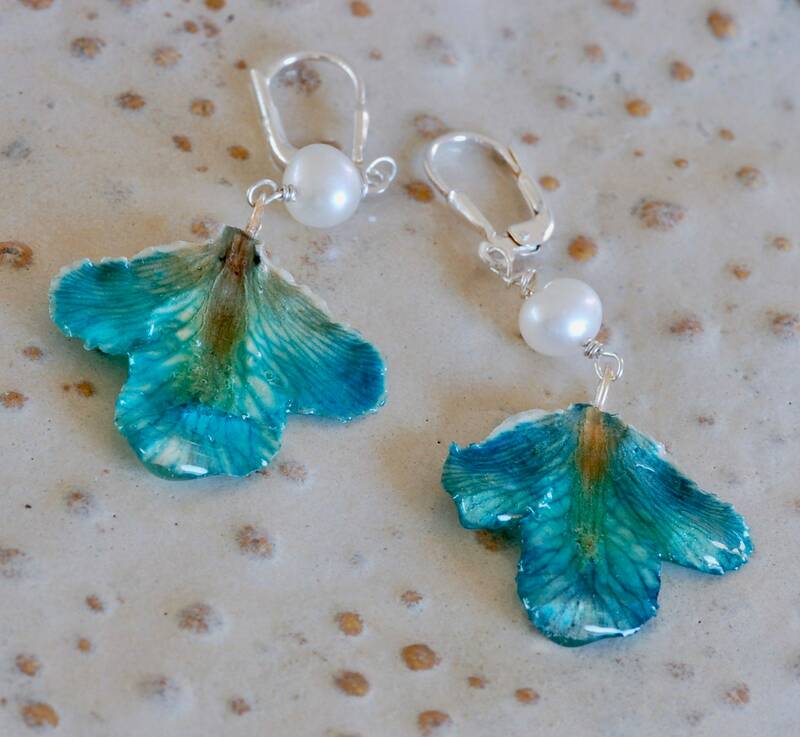 The petals are shellacked to preserve them. 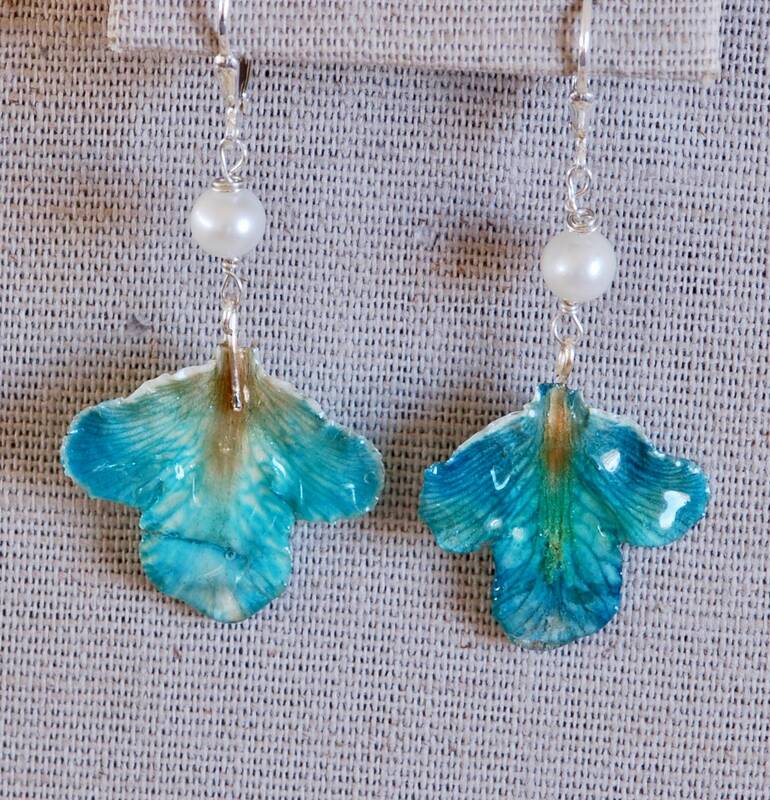 A freshwater pearl is wire wrapped in sterling silver and hangs from a sterling silver leverback earring. 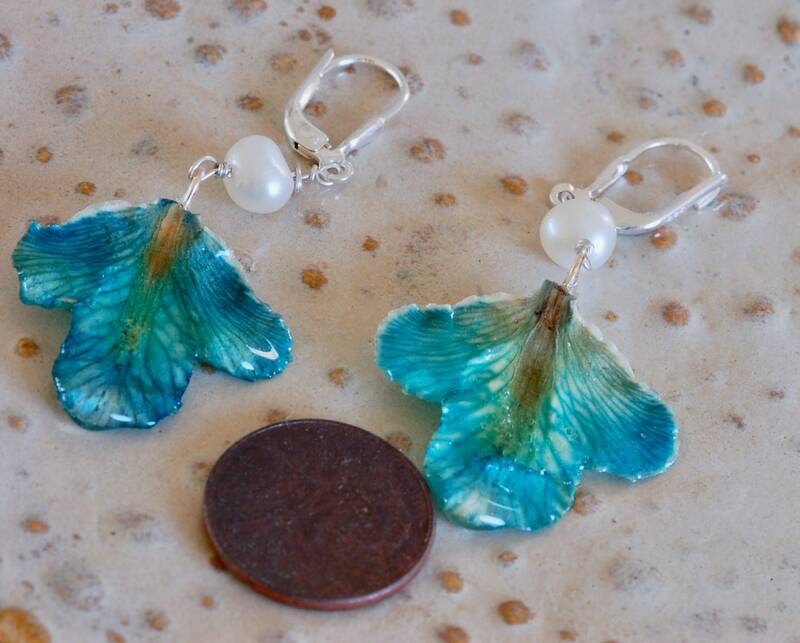 A great unique gift, great for a tropical vacation or perfect for a special outfit. 2 1/4 inch drop. Very light weight!